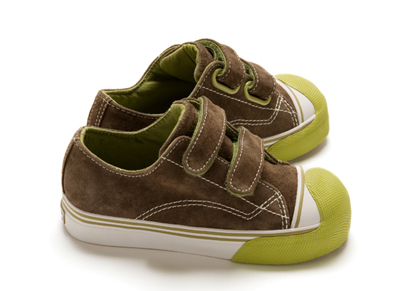 Kids love to prove they can do it themselves and they can with the two strap hook-and-loop play shoe in soft suede. Protective toe bumper and flexible rubber outsole will allow kids to play all day. Two left.